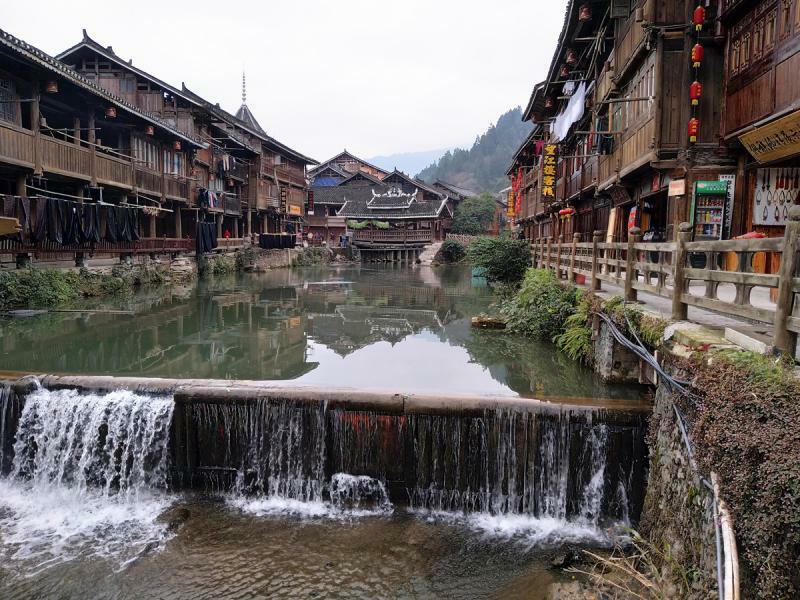 The team of ETC held this year’s annual meeting in Zhaoxing, Qiandongnan Miao and Dong Autonomous Prefecture, SW China’s Guizhou Province during January 13-15, with a special purpose of exploring the Dong villages of Zhaoxing, therefore crafting better and more specific Guizhou tour programs for our clients. 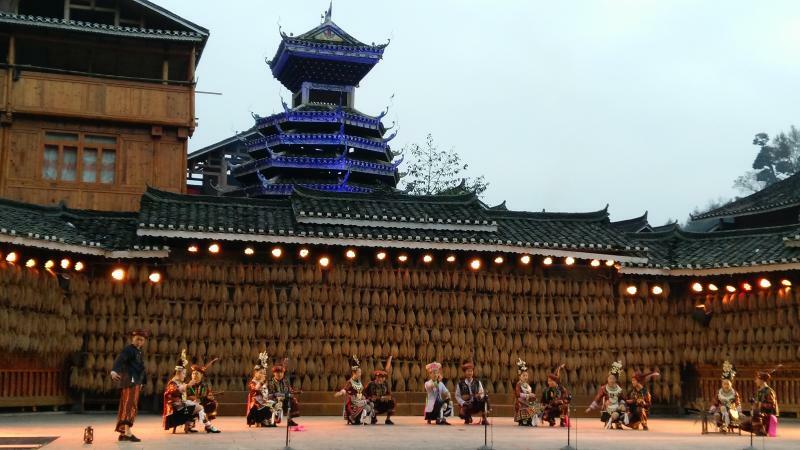 Transportation: China’s national HSR system has connected Guangxi and Guizhou by opening the Guangzhou Guiyang railway. 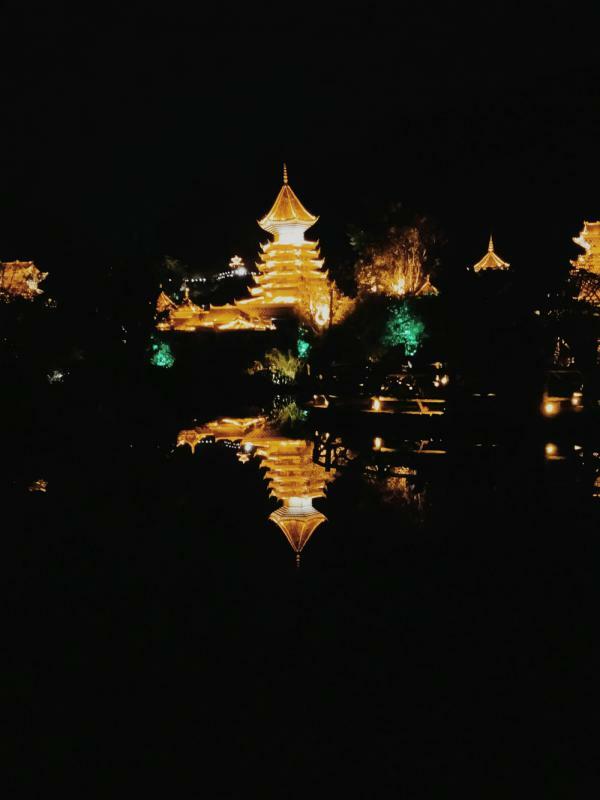 It takes only 50 minutes for us to travel from Guilin to Zhaoxing (get on the train at Guilin Xi Train Station and get off at Congjiang Station). 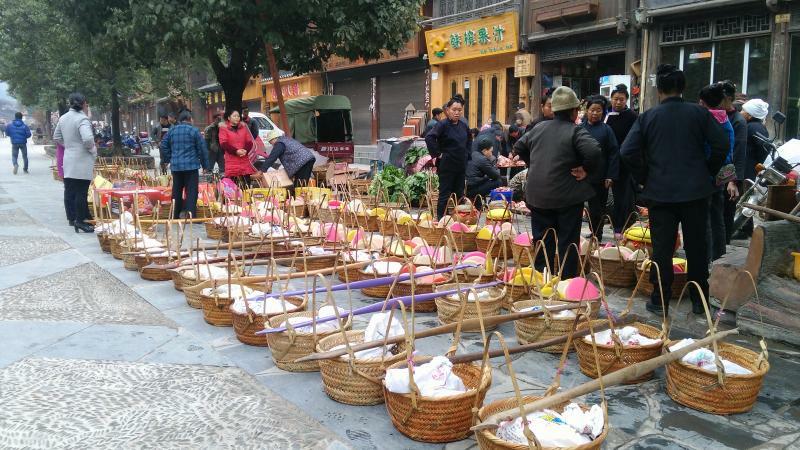 Zhaoxing Village: In the south of Liping country, Zhaoxing Dong Village is one of the biggest Dong villages in China where about 1,200 households and 6000 Dong people live in a traditional simple life. 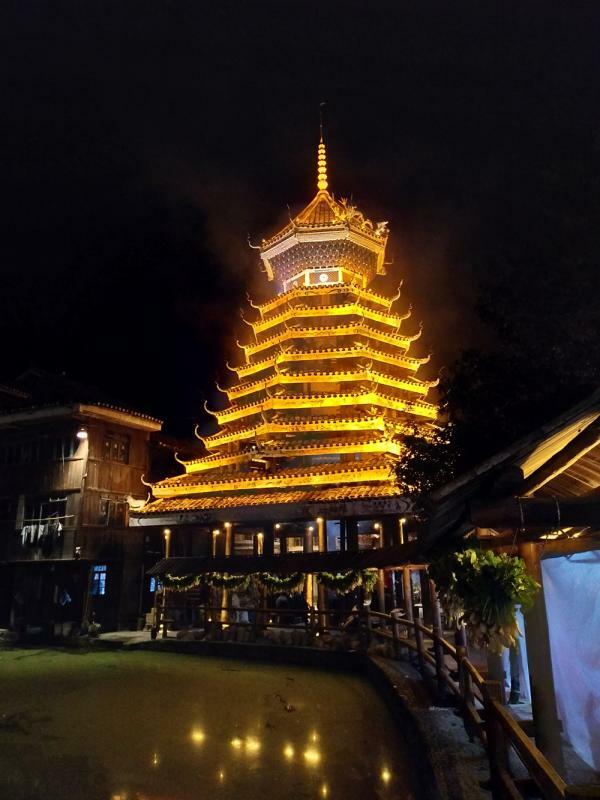 We arrived at night and were impressed by the stunning night view of the village when the wooden structures, towers, pavilions and bridges were lighted up. 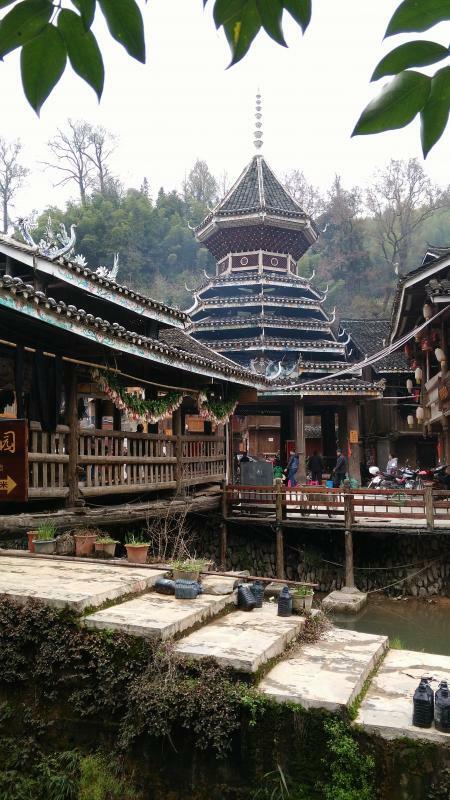 The next day is to explore in Zhaoxing Village, as well as the nearby Tang’an Village and Jilun Village. 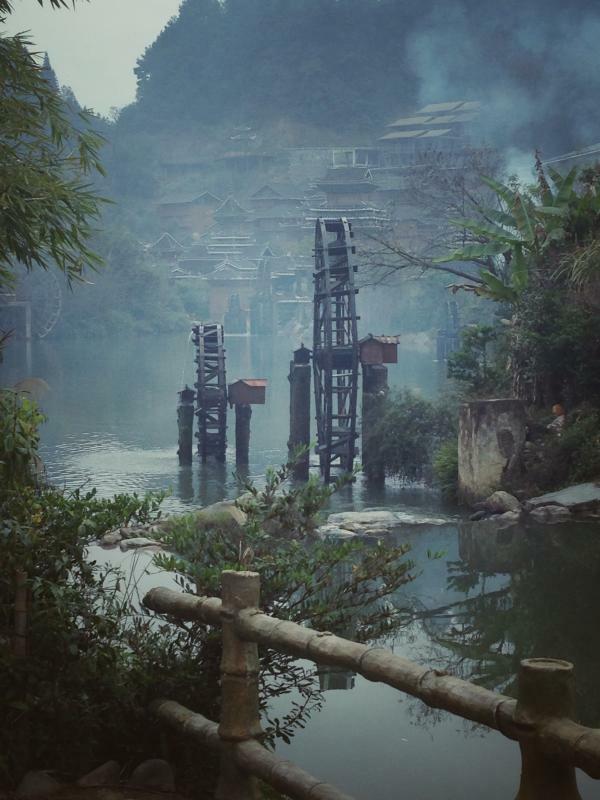 All of them have the well-kept ancient wooden drum towers, flower bridges, theatrical stages and arrays of Diaojiaolou, serene countryside… which are quite remarkable and making the places great for minority culture discovery and experiencing the laid-back rural lifestyle and getting away from the city chaos. 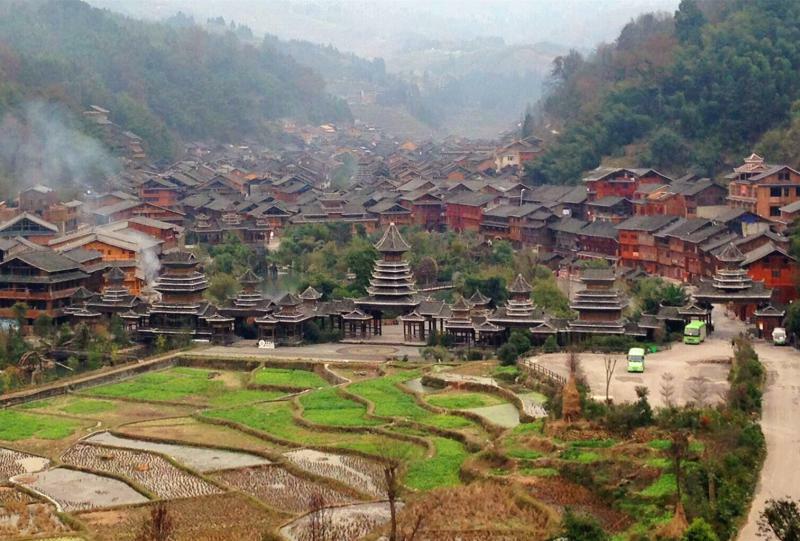 So if you would like to take an adventure to Guizhou and Zhaoxing, here we have crafted the wonderful trips connecting Zhaoxing and other minority destinations in China with unique itineraries and programs.